I did this watercolor painting quickly last week. It was a preliminary to the one I published yesterday. 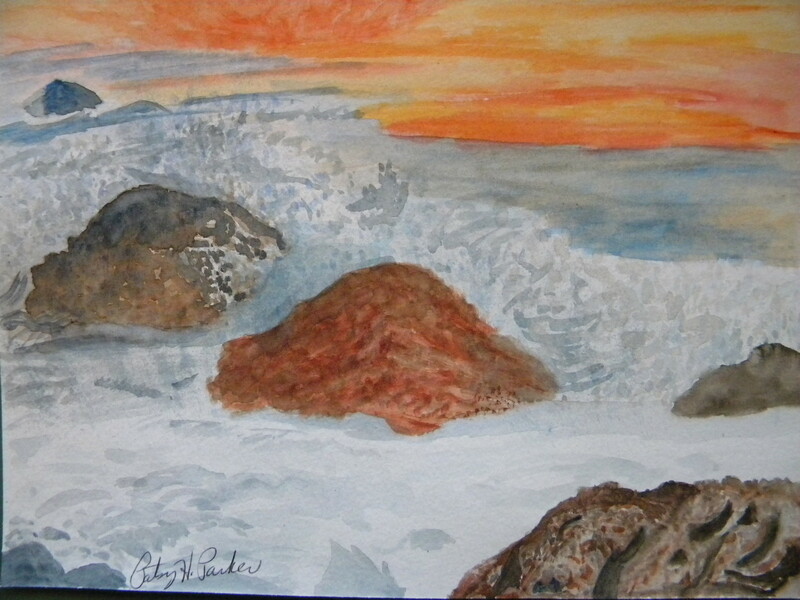 In this one I was just practicing with different colors for the sky and rocks. Posted on December 8, 2013, in Art Talk, Watercolor Paintings and tagged painting, watercolor. Bookmark the permalink. 2 Comments. being a seaside girl i really love your ocean watercolours, we have red rocks just like that all around the scotland lothian coast region. i found you by your post about followers. Thank you so much! Scotland, wow! How I wish I could visit that area someday, but only in my dreams. 🙂 That’s interesting about how you found my blog. I’m still not really clear how the tags work, etc.? ?